The Hiroshima Carp and Hokkaido Nippon Ham Fighters begin their battle for the Japan Series crown on Saturday. 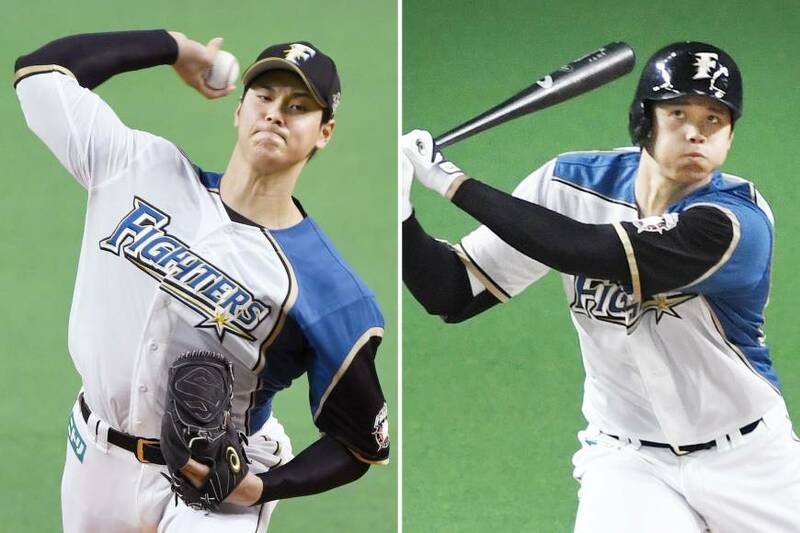 But the attention on that matchup might pale in comparison to the focus that will be on Fighters star Shohei Otani not only in this series, but as he prepares to step onto the international stage. Otani was already going to be in the spotlight in his Japan Series debut, but the 22-year old stoked the flames with his scintillating relief appearance in the last game of the Pacific League Climax Series, during which he, after going 1-for-4 as the DH, hit a record-setting 165 kph with his fastball three times and also threw a 151 kph forkball on the way to his first pro save on Sunday. Kokubo named Otani to his roster for the World Baseball Classic warmup games in November, and it would be a shock if he wasn’t on the final roster for the tournament in March. A true two-way talent, Otani was 10-4 with a 1.86 ERA and 174 strikeouts in 140 innings (he missed time because of a blister) as a pitcher and hit .322 with 22 home runs in 323 at-bats this season. The Carp will have their hands full trying to prevent him from beating them, either on the mound or at the plate, during the Japan Series. Otani is a rarity. There are players who can hit like he can, even fewer who can pitch the way he does, but none who do both things so well simultaneously. He’s come along at a rapid rate since being drafted in 2012 and has blossomed into a force of nature. 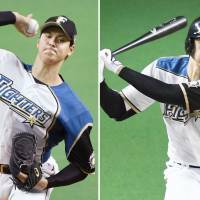 “What’s impressed me the most is that developmental ability and the ability to adjust at a very high level,” said Dave DeFreitas, a partner at 2080 Baseball and a former MLB scout who has watched Otani since high school. Otani hit 10 homers during the 2014 season, but his game at the plate really took off this year. He was so good, in fact, the rules for the postseason Best Nine team (which honors the top player at each position) were amended so that pitchers could be considered at the DH spot. “I think he’s just this uber-athlete and he has capabilities that his athleticism afford him right now,” DeFreitas said. “Next year, when the league adjusts to him offensively . . . I think he kind of took the league by storm this year, he kind of took some people by surprise. That’s not gonna happen next year. Japanese fans have already seen Otani up close and personal, and fans from North America could get that chance if Japan advances far enough at next year’s WBC. “If you’re looking at the player and just evaluating him, his ability to execute and perform at the level that we’ve seen to this point, I think that will be telling,” DeFreitas said. “Each WBC, the U.S. team has gotten a little more into it and a little more prepared. I expect to see that trend continue. So it’ll be something if he goes up there and dominates the best players in the world. It’ll definitely say something. For all Otani’s exploits, it’s sometimes easy to forget he’s only 22. “I haven’t seen anybody in my career develop as quickly as he has and make these massive jumps as he has,” said DeFreitas, who wrote up a detailed scouting report of Otani. “Maybe we’re looking at a type of player that we’ve never seen before, anywhere. “I saw the skills, I saw the ability in high school. I wasn’t sure how quickly he was going to develop or where the coordination was going to come along, and it did and then some. Then I saw him as a pro guy and thought in a few years he’ll get to where he has been already, and he proved me wrong yet again.